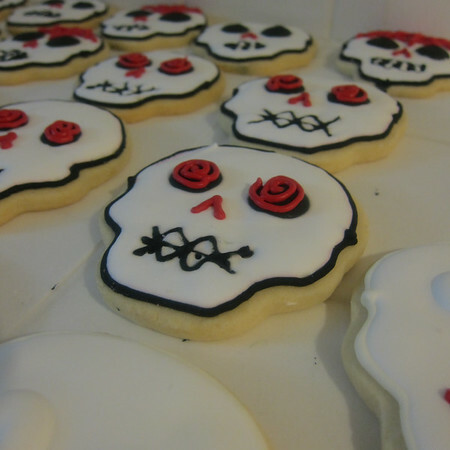 Growing up in San Diego, sugar skulls, or calaveras, were as much a part of Halloween and its neighbor, Dia de Los Muertos as carved pumpkins and witches. 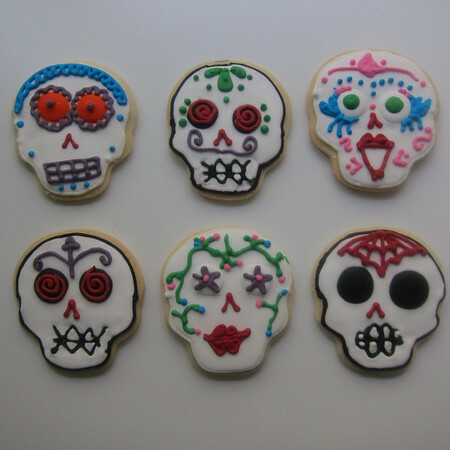 Celebrated on November 1st and 2nd, Dia de Los Muertos originated in the cultures that lived in what is now Mexico. When the Spanish conquered the Aztecs in the early 16th century, they attempted to convert the indigenous populace to Catholicism. As happens with many efforts at colonization, the results were mixed. The traditional Aztec celebration of Mictecailhuati evolved into Dia de Los Muertos as the Spanish attempted to align the tradition with the Catholic All Saint’s Day. Based on my research, the interpretation of the folk-Catholic cocktail is loosely geographic: South of Mexico City the emphasis is on celebration whereas North of this, the holiday takes on a more religious tone. As the name suggests, this Mexican holiday is a celebration of remembering and honoring the dead. It is believed that on Dia de Los Muertos, deceased loved ones are allowed to return to earth and celebrate with their families. Or, in true guilt-based family fun, harass those families who have neglected their dearly departed. 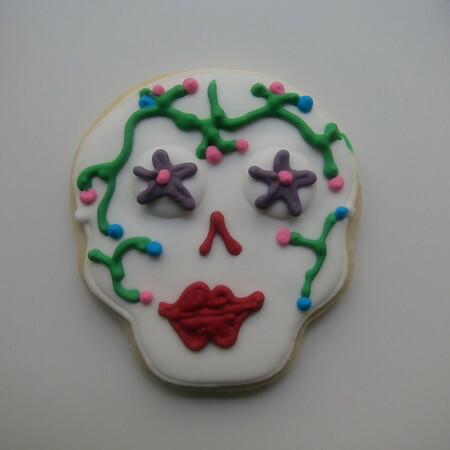 Sugar skulls are an important symbol of Dia de Los Muertos. Traditionally molded from sugar (or clay), they are sold and made in the days leading up to the celebration and then exchanged as gifts to living and dead alike. Intricately decorated with bright colors and an emphasis on sparkle, they are meant to be happy rather than scary. 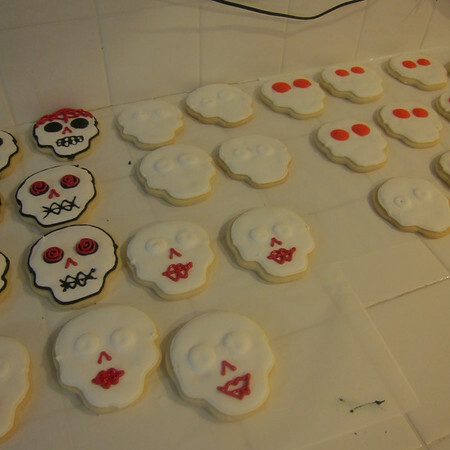 When I found a skull-shaped cookie cutter over the summer, I knew it was time to make some sugar (cookie) skulls of my own. 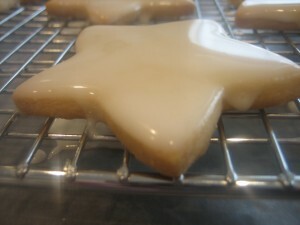 I used my never fail sugar cookie recipe and Sugarbelle’s never EVER fail recipe for royal icing. While I give myself a C+ for decorating prowess (I quickly found my decorating tips weren’t nearly fine-enough for detail work), it was serious A+ fun. Next year? 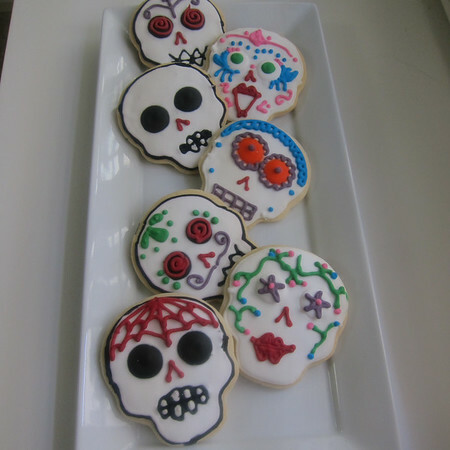 Sugar skull decorating party at my house! How fun wold it be to base-glaze these babies, invite a bunch of friends over, add some adult beverages and go to town with the crazy colors and themes? And of course, Happy Halloween and Dia de Los Muertos. “We elves like to stick to the four main food groups: candy, candy canes, candy corns and syrup.” Buddy, in Elf (2003). 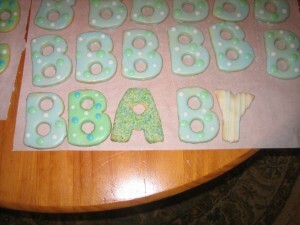 Generally, my belief when decorating cookies is that the more you mess with them, the worse they taste. 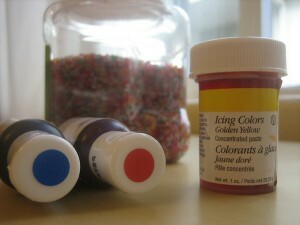 While I appreciate the look real royal icing creates, I’ve always shied away from it because of this. Using lemon juice in confectioner’s sugar, while pretty delicious does have its limitations. Most specifically, I found no matter what I did, the colors bled. So, this year I decided to go for it with the royal icing figuring that even if they tasted awful, they at least had a chance of looking good. 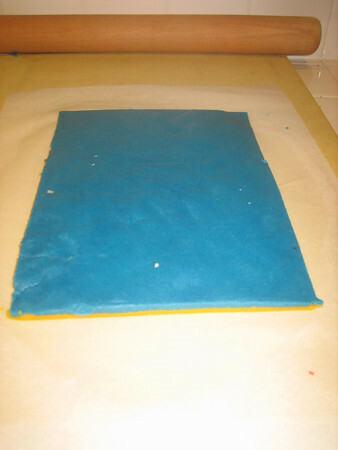 I did quite a bit of research in preparation and found the royal icing recipe and technique instructions from The Adventures of Sweet Sugar Bell made a lot of sense. Especially the part about the spray bottle. I’m telling you, the spray bottle was key. Hey sugar, how about a lime? 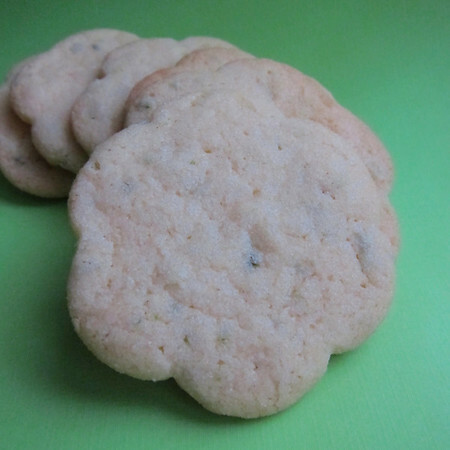 I decided to try this recipe just so I could have an excuse to make lime sugar. I used a citrus zester because I like to live a little dangerously and risk peeling half my thumb when zesting limes. 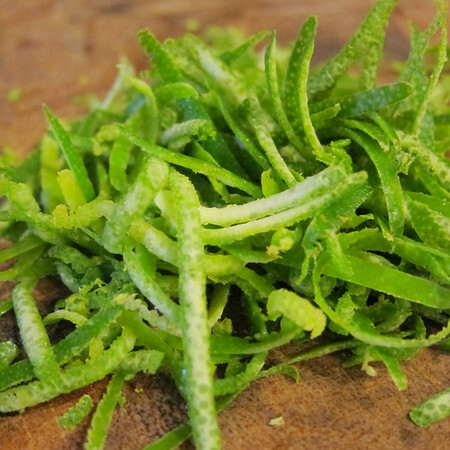 You could easily remove lime peel with a sharp pairing knife. I also think a microplane rasper would work as well (though it would change the texture of your final product). 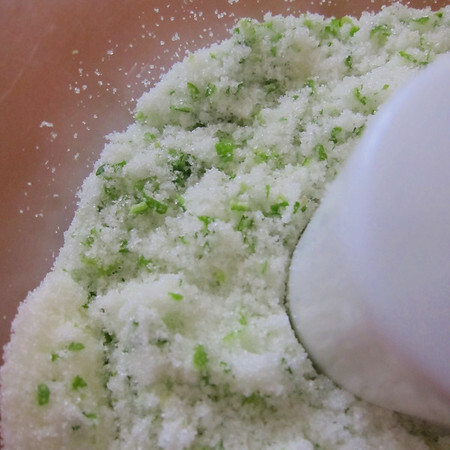 Once your limes are zested and said zest is chopped, then there is grinding. With sugar. Sounds dirty doesn’t it? The result is fantastic. Lime sugar is like WD40. One product, many uses. Want a little extra zing to your margarita? Rim your glass with lime sugar. Want glowing skin? Just add coconut oil and you’ve got a fresh sugar scrub. I could go on for days. In this instance however, we’re making cookies with it. Sugar cookies to be exact. 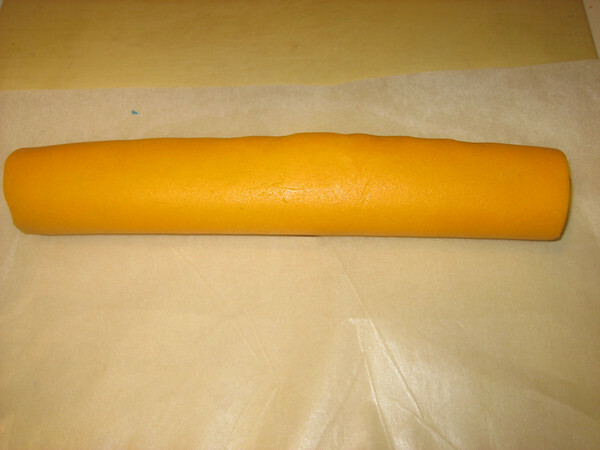 In the original recipe, the dough is rolled into a log and chilled. I was feeling a little frisky and decided to roll-out mine using this fail-proof method. 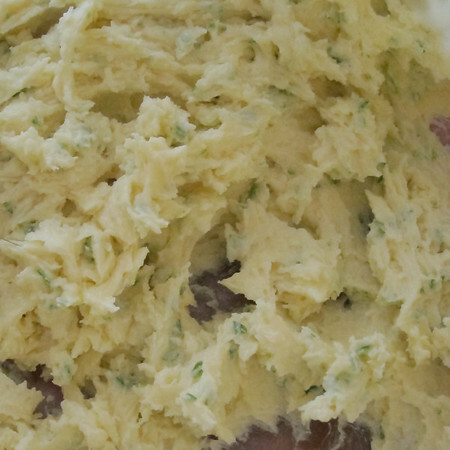 One note here, this dough is much softer than a traditional cut-out cookie dough. 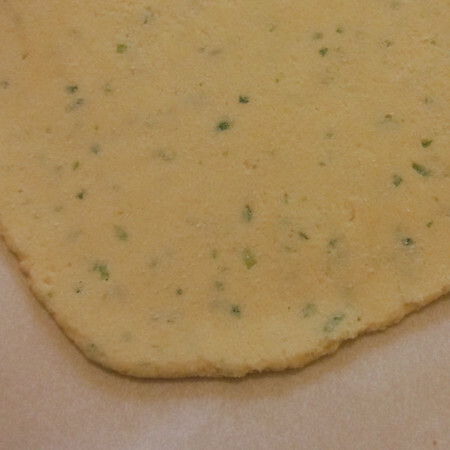 For this reason, chill well, cut-out quickly and then re-chill the shaped dough before it goes into the oven. 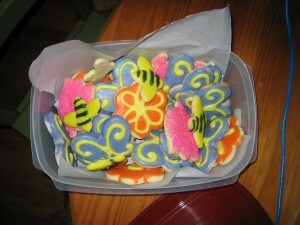 After cutting-out the flowers, I dipped each in superfine sugar for some added texture. 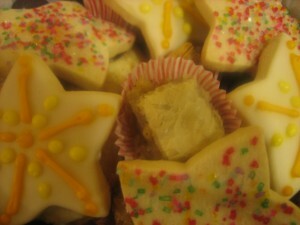 These would also do well iced. They are simple but pack a nice punch of flavor. Lovely with an iced-tea on a summer’s day. Vampire Weekend. To me, this band is like all the good things of summer rolled-into one. Their music makes me want to pop my polo collar, throw off my shoes and wiggle my toes in the sand. With one exception. Unlike Vampire Weekend, I do give a f&*k about the Oxford Comma. Well, insofar as I detest it. Serial comma? More like serial killer of my patience. Why anyone would think it necessary to punctuate before an obviously terminal conjunction is beyond me. 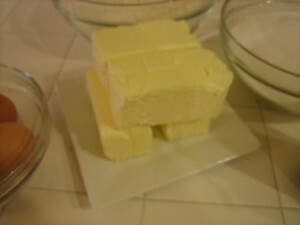 Beat together butter, shortening, granulated sugar, and 2 tablespoons lime sugar with an electric mixer until light and fluffy. 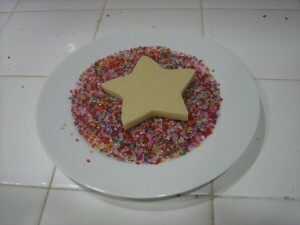 Beat in egg and vanilla. Sift flour, baking powder, and salt together over egg mixture, then beat on low speed until just combined. Form dough into a 10-inch log (2 inches in diameter) on wax paper, then wrap in wax paper. Chill dough until firm, at least 4 hours. 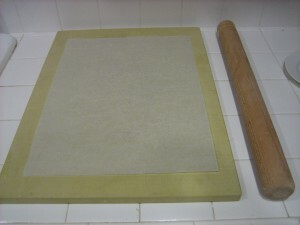 Alternately, roll-out dough between two sheets of parchment or wax paper. Chill until firm and cut-out as desired. Dough can be re-rolled but will need to be chilled in-between (dough is very soft). 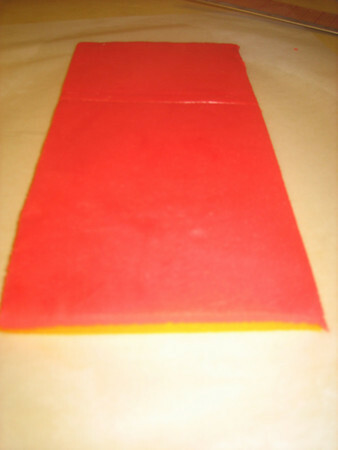 Remove wax paper and cut log into 1/4-inch-thick rounds. 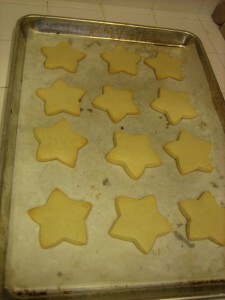 Bake cookies 1/2 inch apart on ungreased baking sheets in batches in middle of oven 10 to 12 minutes, or until pale golden. 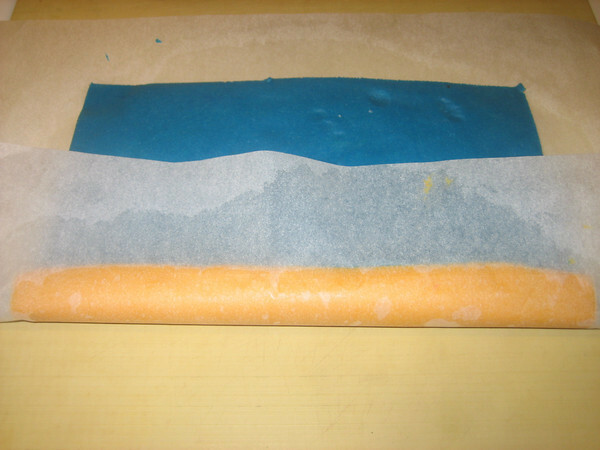 Immediately transfer with a metal spatula to a rack set over a sheet of wax paper and sprinkle tops with remaining lime sugar. 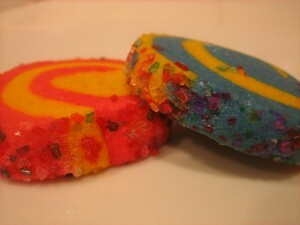 Cool cookies. 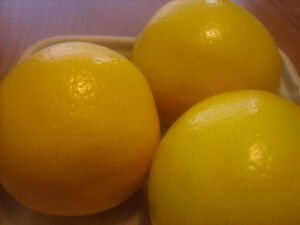 Remove zest from limes in strips with a vegetable peeler (or zester or pairing knife) and cut away any white pith from zest (pith imparts a bitter flavor). 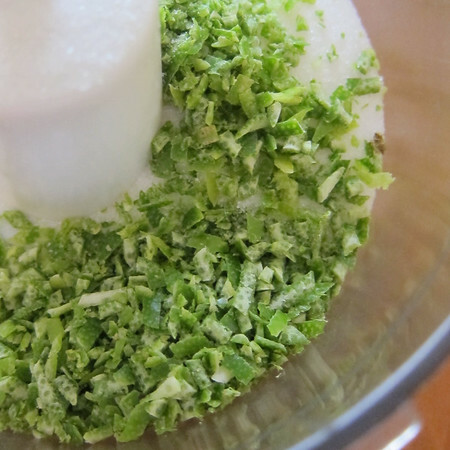 Chop zest (about 1/2 cup), then grind in a food processor with sugar until mixture is pale green with bits of zest still visible. Misanthropic Hostess note. Now you are left with 6 naked limes that will quickly go South if you don’t use them immediately. So what do you do when life gives you limes? 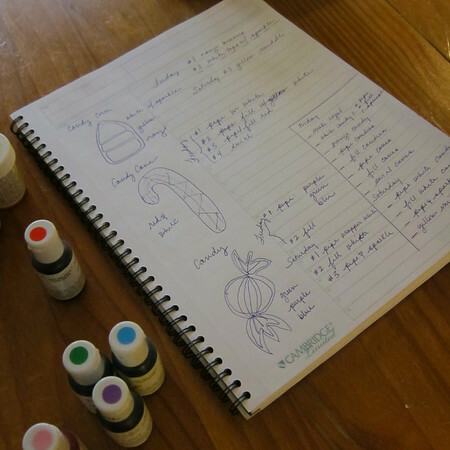 You make lime simple syrup for warm weather cocktails. 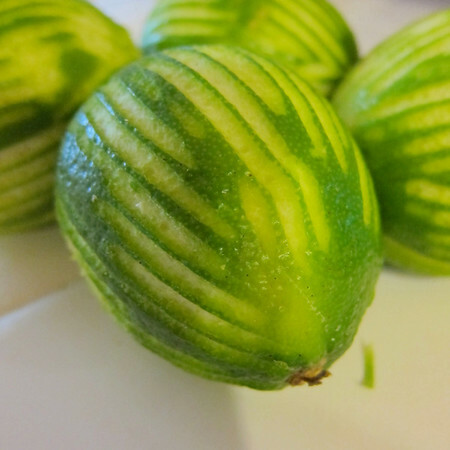 Juice your limes and combine 1/2 C of water with 1 C of sugar in a small saucepan. 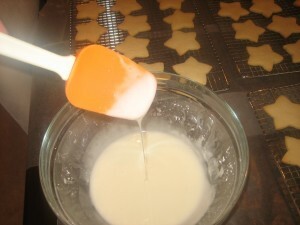 Bring to a boil, stirring constantly until sugar is dissolved. When mixture reaches boiling, turn off heat and add lime juice (and any extra lime zest you might have). Store in a covered container in the fridge. If you didn’t catch it the first 2,347 times I’ve mentioned it, I work for my alma mater’s biggest rival. Most of the time this isn’t an issue. I try not to broadcast my collegiate pedigree and really, my coworkers could care less. Except for one weekend each year in early December. And then all bets are off. There is trash talking. There is posturing. There may or may not be the subtle wearing (or not wearing) of certain color combinations and/or temporary tattoos. It really doesn’t matter that my own college’s football team has struggled a bit to go 500 in the last few years while the football team of my employ has played in a couple of national championship games recently. This game can and has been, anyone’s. Crazy things happen at these games. Which brings me to baked goods. 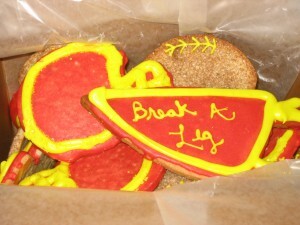 Back in 2006 I made rivalry cookies for my office. The week of the game, I delivered luridly colored sugar cookies in the shape of footballs and helmets. And we–my team–won the game. 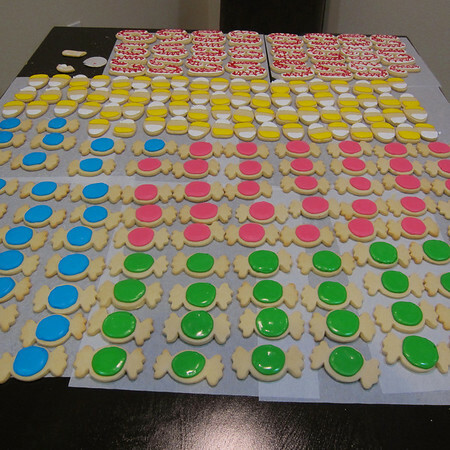 For a variety of reasons, I haven’t repeated this cookie delivery since (mostly because they are labor intensive and I’m in the middle of my holiday baking binge right when this game is scheduled). Sadly, my team hasn’t been able to deliver another rivalry “W” since that game in 2006. 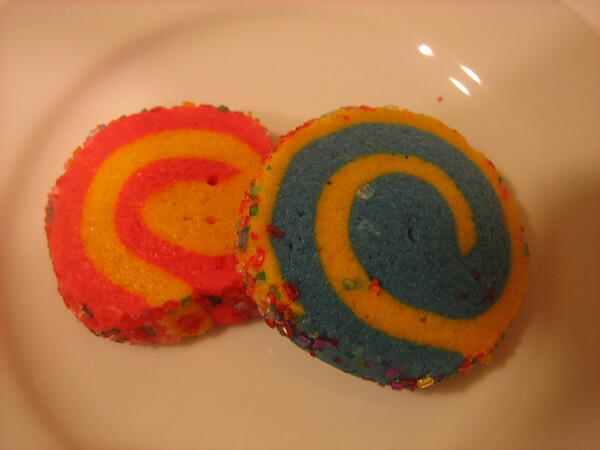 So I thought I’d make some rivalry cookies again this year. Just in case it makes a karmic different. 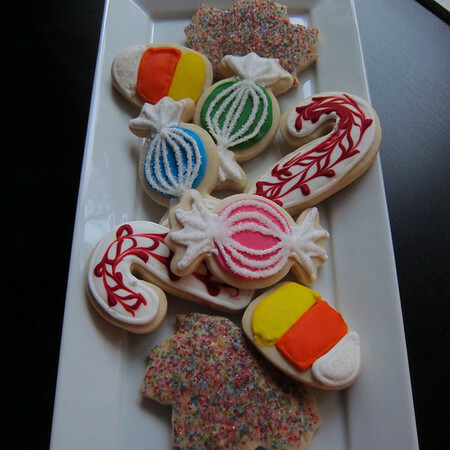 I still won’t have the time to put into intricately decorated cookies, so I’ve been playing around with some less time-consuming ideas. I think I may have come up with a suitable proxy. 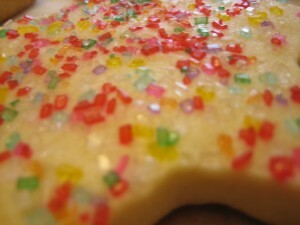 Like I did in 2006, I started with the always successful sugar cookie recipe. 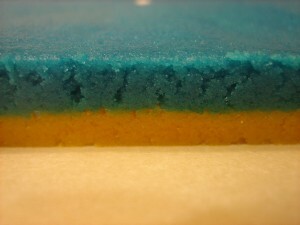 And then I had some fun with food gel. 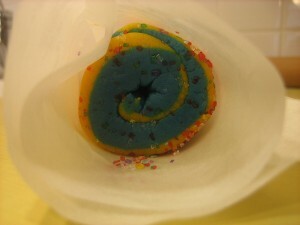 The idea was that by coloring the dough before it went into the oven, I wouldn’t have to do it when it came out. 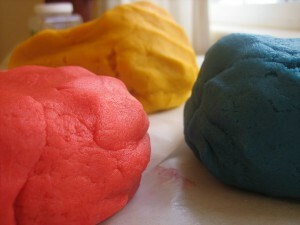 Looks like PlayDoh doesn’t it. I know this can’t be true but when I was working with it–I swear–it also smelled like the stuff. If you haven’t already caught-on at this point, the colors represent the respective college colors. 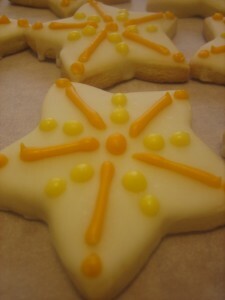 The schools share yellow in common so I rationed-out the dough as 1:2:1. 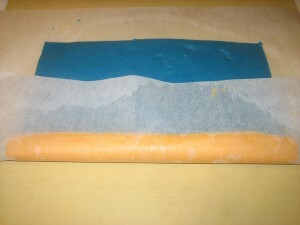 I then rolled out sheets of each color and then combined the colors by placing one on top of the other. Here it is with my employer’s colors. And here with my college’s. After this I tried various ways of rolling the dough into a log. 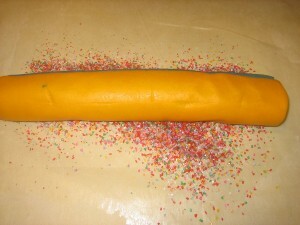 Rolling from the short end yields a bigger but shorter dough log. I opted for rolling from the long end–I have a lot of cookies to hand out. 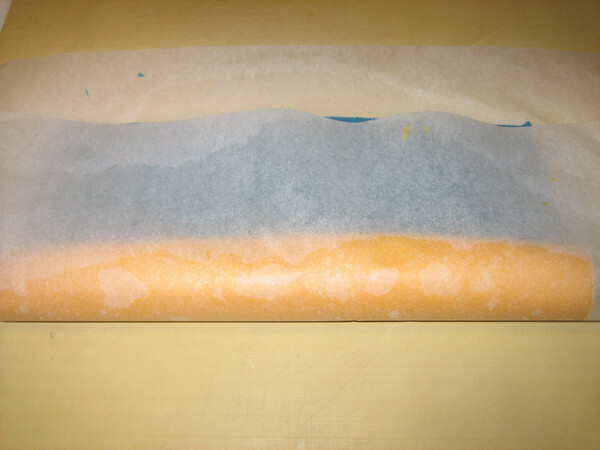 With the dough on parchment, I began the roll by grabbing the edges of the parchment and folding over the dough at the edge. And then repeated the action. Until I got a log. Then, the log went into colored sanding sugar. 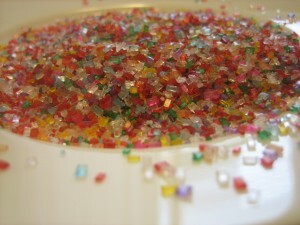 For a nice coat of sparkles. 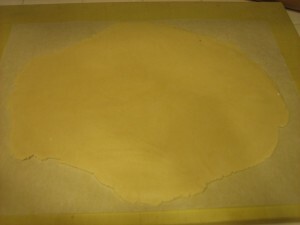 Finally, into some parchment for a couple of hours in the fridge. 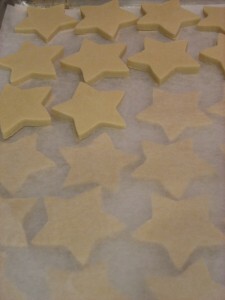 Once the dough logs were firm I just sliced them up into disks and into the oven they went. The result? 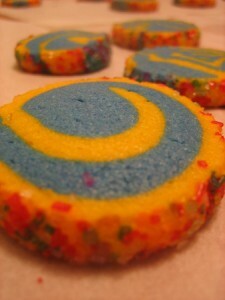 Rivalry cookies! So here is the plan. 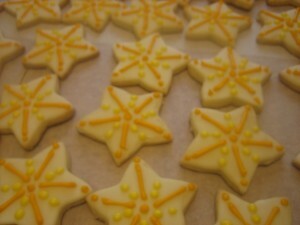 The week of the game I’ll bake up a batch and deliver them to various offices here at work. Then, I’ll let the great football gods take care of the rest.